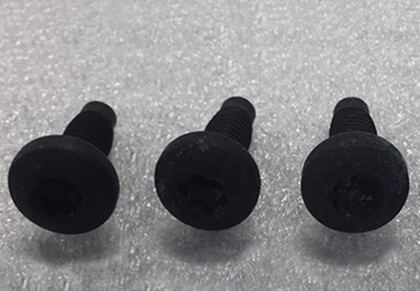 A customer is looking for a zinc and black plating replacement that provides better corrosion resistance, consistent lubrication and no hydrogen embrittlement for their parts. We developed a duplex zinc flake coating system that provides excellent corrosion resistance with no hydrogen embrittlement concerns and integrated lubricant in the top coat. Our Research and Development team ran a salt spray corrosion test to verify the performance of the coating.